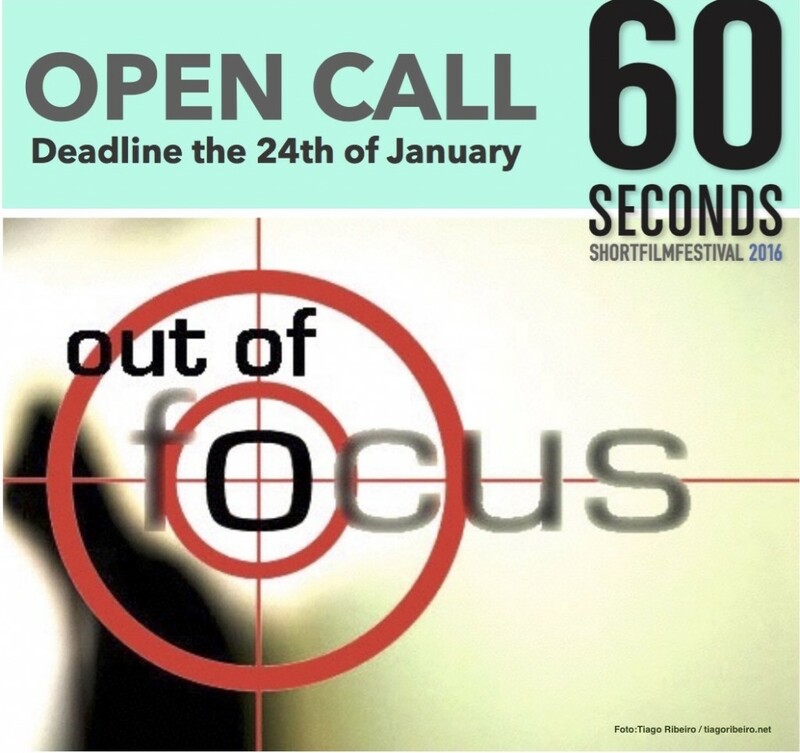 Open call for the 10th edition of 60Seconds Festival. 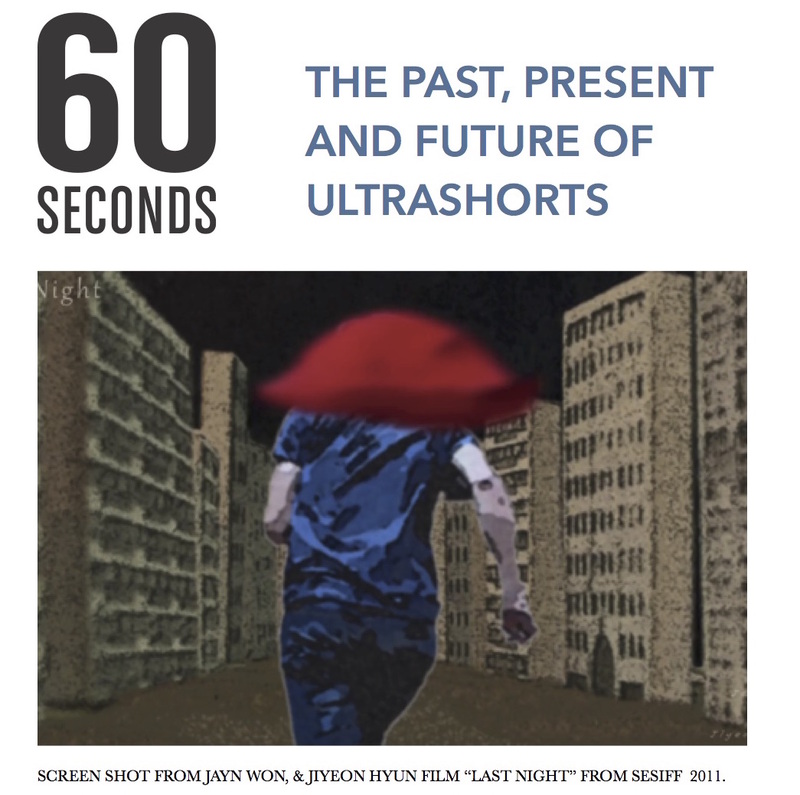 Open call for the 10th edition of 60Seconds Festival. 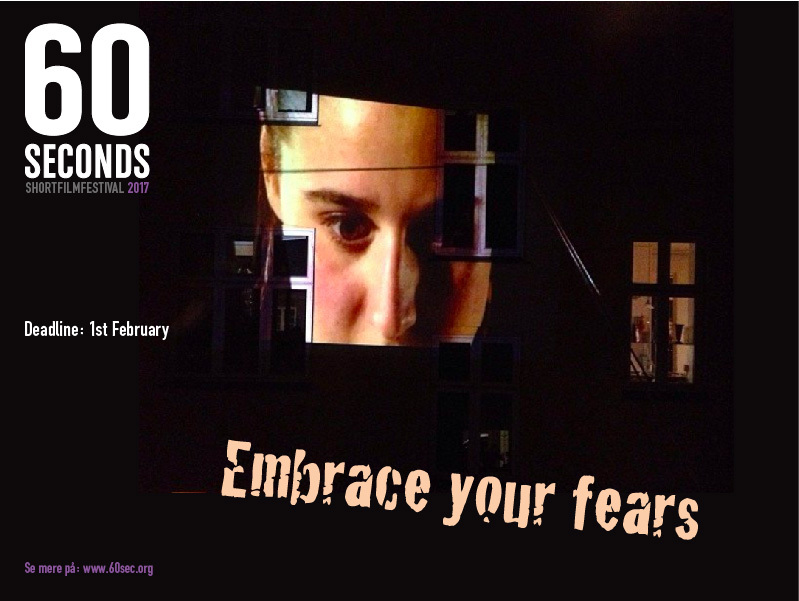 60Seconds short film festival invite participants to create an original film based on the theme “Embrace your fears”. Artists must think in unconventional ways and submit an original work that is theme related, exactly 1 minute in length and without sound. Artists must think in unconventional ways and submit an original work that is theme related, exactly 1 minute in length and without sound. Do take into account that the selected films will be shown in public spaces where art isn’t necessarily a priority for the audience, so your film has to both seduce them and make them think! Send us your video proposal for this year’s theme before 1st February 2017. 60Seconds is a film festival in the urban space of Copenhagen, celebrating 10 years of short films in the city in 2017. Forfatter AdaUdgivet 02/01/2017 02/01/2017 Kategorier Arrangementer, Blandet, Fagråd på Kunsthistorie og Visuel Kultur, Opråb, Praktik & ProjektTags cph, metro, shortfilm ferstival, urban festivalSkriv kommentar til Open call for the 10th edition of 60Seconds Festival. 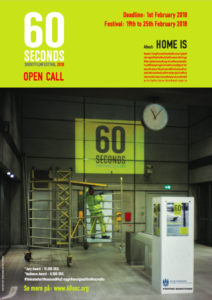 The OPEN CALL for 60Seconds Festival 2016 has started! Everyone regardless of experience or country can apply, so share this with your artistic, international friends and give them a chance to have their short film shown in urban Copenhagen and compete for the 1st prize (15.000DKK) or the audience award (8.000DKK).